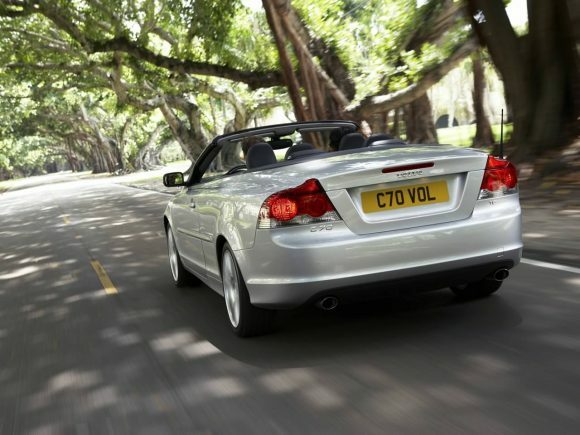 The Volvo C70 Convertible has a wonderful understated elegance. A clever 3-piece folding hardtop allows it a sleek shape and very much the look of a proper coupe with it up. With the roof down it’s a pleasant drive and a big improvement over the previous model however the ride is not the smoothest and it is not a car which likes to be pushed around the bends. The ultra-safe C70 feels big and weighty on the road and while it lacks the agility of a BMW it does have an up-market feel. Both cabin and boot are spacious with the roof up but with it down it can be a fiddle to gain any kind of access to the remaining luggage space. All in all a very stylish and well-equipped offering. 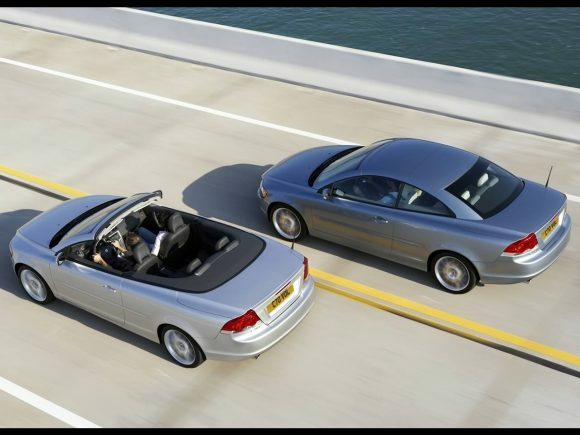 The 2010 re-design of the C70 added a more curvaceous but perhaps less sophisticated look and a redesigned interior. 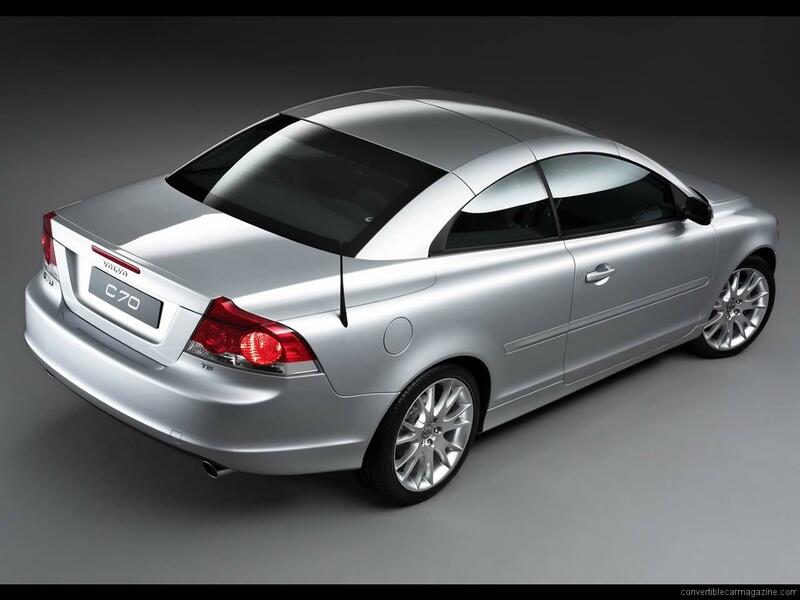 The Volvo C70 D3 became the base model after the 2.4 litre petrol car was discontinued from the European market. The turbocharged 2 litre D3 is a competent and comfortable cruiser with a smooth five cylinder engine. Volvo C70 D4 has a bigger turbo charger than the D3 for a welcome boost of power with no loss in fuel efficiency or emissions. The optional Geartronic semi-auto transmission is fast and smooth. Volvo C70 T5 is the only performance option in the C70 range after the D5 was discontinued. There is plenty of power available but the weight of the Volvo blunts the T5's performance a little. Do you drive a Volvo C70 Convertible? Would you recommend it to others? Join the conversation and let us know what you think of the car. This Volvo currently has 8 owner reviews. I have probably the first Volvo C70 T5 Auto Convertible delivered to the UK. It was produced to my specification with just about every available extra (+ some) and I have had it since 1999 and it has done less than 70K and is still like new. It drives like a dream and with the T5 Turbo is very quick even by todays standards. I have had to replace tyres and batteries a few times but had no serious problems. This model has a longer wheelbase than the current version, more rear legroom and very much finer interior trim. The only minor irritations are that the steering on full lock requires regular lubricating to prevent a recurring screech (which anyone can apply in seconds) and it has now developed a few more little interior noises but for a twelve/thirteen year old convertible car used daily I consider that pretty good. I only wish I could replace it with something equally good but the new one isn’t for me. I am looking at the BMW 6 and Audi 5 series convertibles but must have at least the same rear room as I often take passengers in the back. I wish I knew which to go for; any suggestions welcome or maybe I should stick with a winner! Oh yes, I forgot to mention that the electric moving seats operate about as fast as my wife moves so if its raining and we need to gain entry/exit for rear passengers then you have time to get thoroughly saturated but in spite of that I still love it; and the wife too! I have a 2011 Volvo c70 t5 and I love it. I would recommend it to anyone who wants a fun ride. 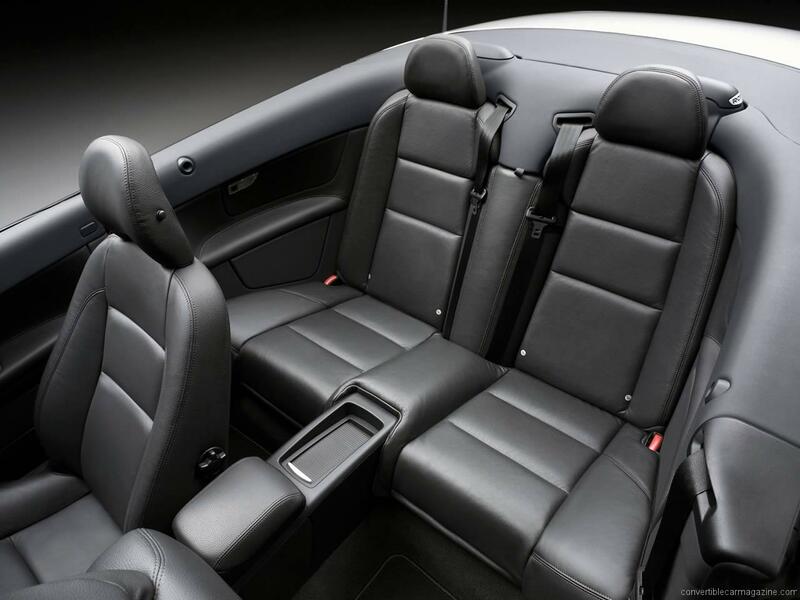 When viewing the Frankfurt auto show in 2009 via the Internet I noted the upcoming 2011 Volvo C70 T5 that offered a cranberry red leather interior with black exterior for the first time. That color combination was the classic for Cadillac and Ford soft top convertibles of the past. I told myself that I just had to own the newly Italian styled 2011 even though I owned a nearly new 2008 Volvo C70 that was silver with a black leather interior. It too was a Volvo beauty. Allegedly key automotive engineers from Volvo, Ford USA and Mazda had designed the new model to be built in the Italian/Swedish joint ownership factory in Sweden. However I wanted one that was fully equipped! I obtained a copy of the Volvo brochure covering the new model and established my own personal specification sheet. I contacted the New Jersey, USA headquarters for Volvo AB and informed them of the exact car I was interested in. Since I am a senior citizen and widower I chose not to acept Volvo’s kind offer for two to travel FOC to Sweden to pick up a specifically ordered vehicle. Also, I had been to Sweden often during my international automotive marketing career since Volvo AB was a longterm client to our firm. Production of the new 2011 model was scheduled to begin circa September 2009. I asked Volvo – New Jersey headquarters personnel to alert me when a car meeting my exact desired specifications might be built in Sweden? Later an exact car had been built and delivered to the USA. Fortunately, an exact speced car had been built and shipped to New Jersey. So, I visited the Volvo dealer, traded my almost new 2008 C70 and took title in early March 2010! However the car is titled as being a 2011 model since Volvo had so designated it as being a 2011 model. I had just acquired one of the very first 2011 models shipped to the USA. I have yet to see another 2011 C70 on the road with my exact specifications. 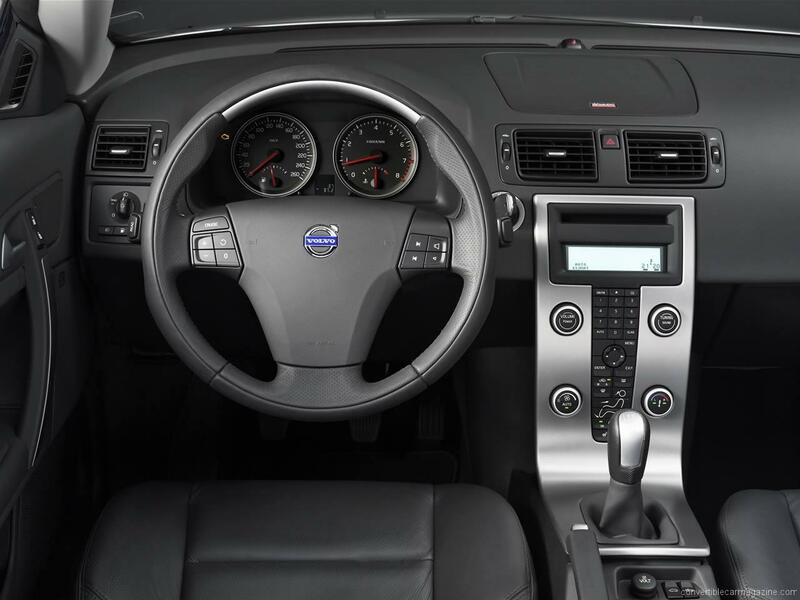 It has every available option including scandinavian hardwood trim on the console and even the wind resistant net cover. It’s a real beauty! With BLIS, GPS pop-up, dual transmission choice, special sterio, large wheels, special headlights, ROPS, etc….Its a special turbo charged machine! When I travel the roads and highways down here along the beaches in Southern New Jersey seashore communities with the top down listening to satillite radio through twelve radio speakers it’s like heaven! Every gentleman or lady should have one at least once in a lifetime. What a pity it is that the new Volvo owners are discontinuing production! This model fills a marketing niche that only Volvo AB offers. The longer that production ceases..the faster the marketing advantage is lost! Ive had an 09 se lux premium T5 with all extras, from new had one drive shaft replaced within first 6 months, apart from that, it is still a head turning car, much more sophisticated than the Mondeo look later model, think sadly discontinued model now, sorry BMW 3s rag top you may be faster . But so common, yup! A wonderful car in all respects, just a four year life span ,then down hill from there! Well that’s progress for you! I bought used 2011 model 2 months ago, because I wanted a hard-top and I liked the design of the car. I looked also at BMW 4 series but for me all BMWs look the same, like all Skodas. Though BMW is a better drive, I chose used C70, simply because of the design. Mine is D3 diesel, automatic. Excellent economy, superb audio, very good seats, good heating. But the engine is bit too noisy, drive is so so (not as precise as BMW) and I have mixed feelings about auto transmission in this car (something makes a strange noise at ca 60-80km/h and this is either the transmission or tyres). The combination of flamenco-red exterior and brown seats…. people look at this car and I hear only positive comments. 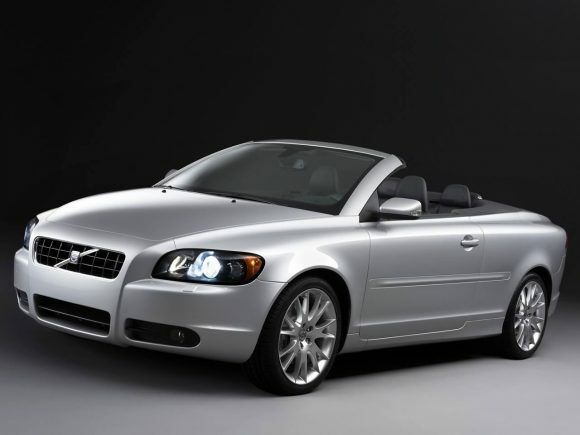 I would like to see Volvo restart production of a cabrio/coupe in a near future. Saab 9-3 Aero which is also a nice car….. is probably dead forever. Purchased my C70 new in 2000, Pale blue with navy rag top. Best car I have ever owned. Still fabulous to drive and passengers and passers by still ask about it and say what a fabulous car it is. They are always amazed its a Volvo. 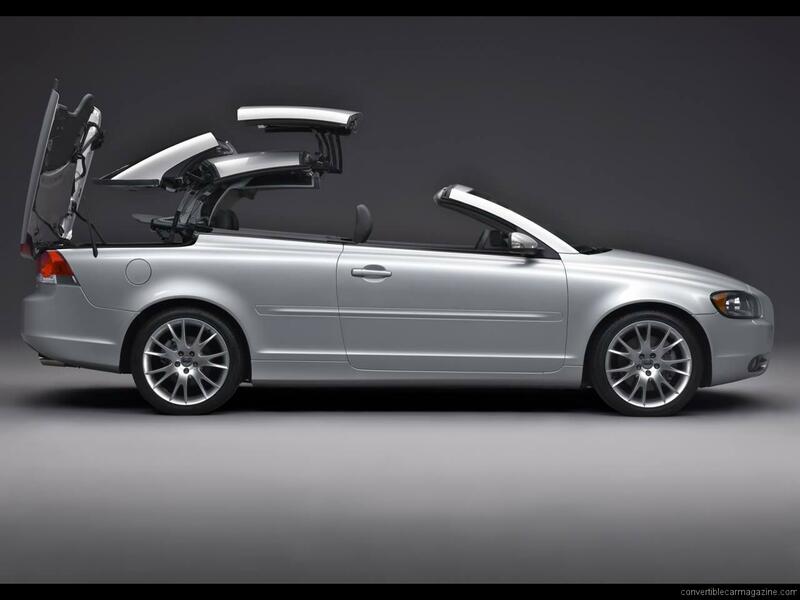 Could not believe it when I heard that Volvo no longer make a Cabriolet. Are they Crazy??? ?